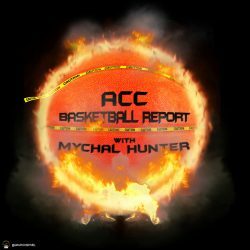 The ACC is currently 27-0 on the season and is currently missing a good amount of their top end talent. Imagine how good the conference would be if everyone was at full strength. Dewan Hernandez-Miami: The ‘Canes are off to a solid start even without their starting center, but will more than likely fade without him. He has been named in a Christian Dawkins business plan, but no proof of any payments has come to light. The Hurricanes should play him. No body, no crime. Chris Clarke-VPI: The rumors swirling around the senior combo forward are troubling. I have no idea if they are true so I will not disclose. One thing is for sure, the Hokies need him on the court and expectations for this team should be tempered if they are to move on without him. Landers Nolley-VPI: A problem with an ACT score has the NCAA clearing house questioning his eligibility. The reason? The ACT score seems inconsistent with his academic record. No accusations, no proof, just suspicion is keeping the most underrated freshman in the conference from being on the court. Frank Howard-Syracuse: The second best scoring option for the Orange last season has missed everything so far this season while he has occupied a walking boot. He may return Thursday against UConn, but that has yet to be confirmed. Manny Bates-North Carolina State: The Wolfpack lost Bates in the preseason to a shoulder injury and have now lost Ian Steere to a transfer after 1 game played. The Pack wouldn’t have need a ton from Bates other than solid rebounding and maybe some rim protection. The 4 star center would be welcomed with open arms to this years front court.